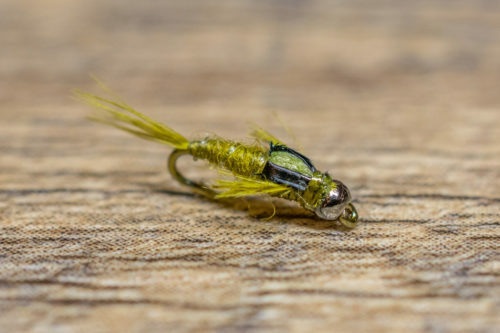 Lance Egan hailing from Utah, developed the Rainbow Warrior as an attractor Baetis nymph or midge larvae hybrid that excels in tailwaters. It is a highly effective tailwater pattern as it fishes well under a wide range of conditions, regardless of the season. It is the simplicity of this pattern that makes it irresistible, with a sparse and flashy body. The Rainbow Warrior is tied on a Tiemco 2488 hook, and comes standard with a tungsten bead head. The Rainbow Warrior excels in all fishing conditions due to its slender profile. 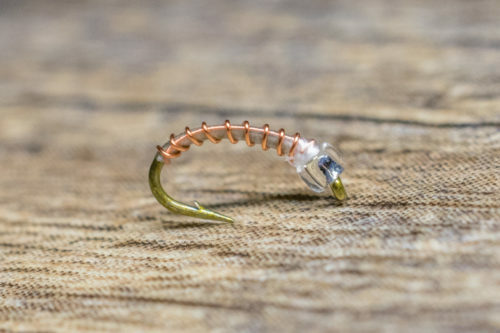 It is a must-have for any Tailwater Junkie. Although, we fish it year round it is quickly becoming one of our favorite patterns for winter tailwater fishing. 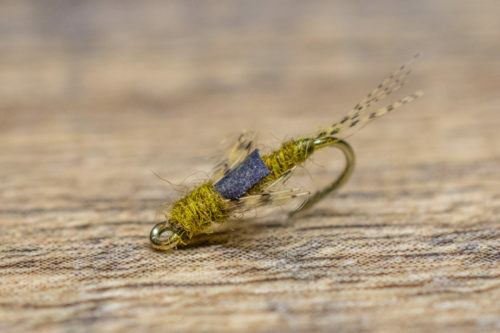 In smaller sizes, it is a great midge larva and midge pupa attractor when trout are keying in on midges. We generally use a Rainbow Warrior as a dropper in a two-fly nymphing rig. Some of our favorite other patterns to fish with the Rainbow Warrior are the following: Mercury Flashback Pheasant Tails, Smith’s Baetis and Chocolate Foam Wing Emergers. This pattern excels in a dry-dropper application with the tungsten bead head. As an added bonus, the Red hotspot will act as a trigger to fool selective tailwater trout.